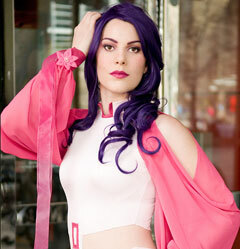 Tell us about yourself: I�m a born and raised Toronto native with a passion for cosplay and comics. I�ve been costuming since 2005 and have won multiple awards over the years for my costume work. 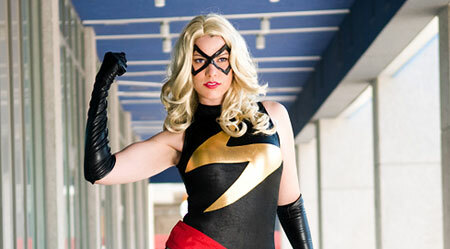 I love to cosplay and bringing characters to life, for me it�s the ultimate homage to my favorite characters and series. My three greatest additions are spandex, tea and Batman! Geekiest thing about you: If we look past the wall of comics, figures and costumes the geekiest thing about me is what I studied in school. I have a degree in cultural theory and a serious love for semiotics. My top three favorite theorists are Adorno, Horkheimer and Lefever.